Sleep apnea is a condition in which you might struggle with one or even several pauses in the breath cycle. Sleep apnea is also characterized by a shallow type of breathing during the sleep cycle. These pauses in the breathing can last a few seconds, or in more dangerous cases the pause can last up to several minutes. Most commonly, after the pause, a normal breathing rate reinstalls but this might be accompanied by a choking feeling or loud snorts. 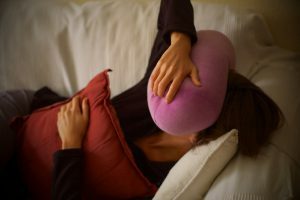 Typically, people with sleep apnea problems experience disrupting sleep which has repercussions such as extreme fatigue during the day. If you or your bed partner struggles with sleep apnea, the best to do is to visit a doctor and receive appropriate treatment. From a medical point of view, there are three different types of sleep apnea: mild, moderate and severe. When the patient experiences between approximately 3 and up to 15 such episodes of apnea during an hour, that is mild apnea. Next, moderate apnea is defined as having between 15 and up to 28 or 29 episodes of apnea each hour. When 30+ such apnea events occur during an hour, this is defined as severe sleep apnea. These could be easy indicators that you struggle with sleep apnea. There is a test called nocturnal polysomnography where specialized equipment is used to monitor your sleep patterns during the night. The machine monitors your heart and lungs functioning, your breathing patterns and also your brain activity during sleep. Then, the physician will review the test and redirect you towards the most appropriate type of treatment including lifestyle changes (diet, physical exercise) and in more severe cases he might recommend the use of a sleep apnea breathing machine such as a CPAP (Continuous Positive Airway Pressure device). During a sleep apnea episode, the airflow stops, and this will bring about a drop in your blood oxygen levels. People with obstructive sleep apnea will typically not remember the ‘awakenings’ during the night since their sleep was disturbed, but breathing is ultimately restored with a gasp/slight choking episode. On the other hand, people with Central Sleep Apnea are quite conscious regarding these awakenings. What are the biggest signs of concern that might indicate Sleep Apnea? – Sleepiness, fatigue, irritability, moodiness, headaches and even depressive states during the day. Many risk factors can lead to sleep apnea. These factors include obesity, chronic sinusitis, a large neck circumference, a more recent weight gain, smoking, overbite, menopause, or large adenoids. There is plenty you can do in regards to lifestyle changes such as quitting smoking, losing weight or following a healthier diet. However, there may be some underlying medical conditions that can lead to sleep apnea and then you need the help of a physician to receive appropriate treatment. The most common type of apnea is OSA – Obstructive Sleep Apnea. Often, the user will need to use a CPAP machine to help him/her with a healthy and steady breathing pattern. The device helps to maintain the airways open at all times and delivers a gentle/continuous air pressure to help with breathing. Thus, sleep apnea episodes are avoided altogether during the sleep. The patient will enjoy a restful night of sleep and then wake up energetic and well rested without any symptoms such as headaches, fatigue, or mood swings. 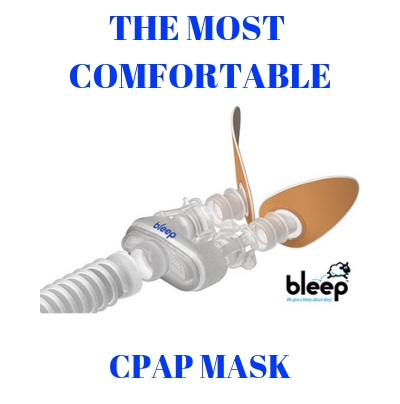 The use of a CPAP is the most common, comfortable and efficient sleep apnea treatment prescribed by the physician. Central Sleep Apnea is the next type of disorder, which is more complex. CSA happens when the brain is incapable of signaling the breath controlling muscles. Typically, Central Sleep Apnea occurs because of other underlying health conditions such as stroke or heart complications. In such cases again, physicians will recommend the use of a breathing assisting device with supplemental oxygen, plus treat the underlying condition. There is also Complex Sleep Apnea existent, which is a combination of the OSA and CSA symptoms. High Blood Pressure– sleep apnea generally worsens blood pressure problems. When you cannot breathe freely, without obstructions, this automatically means the oxygen levels in your blood will drop. However, if you will get the correct treatment for Sleep Apnea, you can definitely improve your other underlying problems such as blood pressure complications. With the help of a CPAP, for example, you can breathe freely, and your blood will get enough oxygen. Heart complications– increased heart attack risk. The direct causes of this complication might be the extremely decreased oxygen levels in the blood. Atrial fibrillation or stroke are also closely linked conditions. Some other OSA-related disorders and health problems include Type 2 Diabetes, excessive weight gain, acid reflux problems and more. If you suspect you might be struggling with Sleep Apnea, it is critical to get checked. Your physician will then recommend a sleep study to thoroughly review your condition and ultimately recommend the most appropriate treatment and lifestyle changes that should be implemented. If you notice that your bed partner is snoring loud, and/or experiences breathing cessation/choking you should redirect him/her for a checkup. With proper treatment, Sleep Apnea symptoms will be reduced and breathing restored to normal levels. Often, with a few lifestyle changes apnea risks and symptoms can be reduced (quitting smoking, exercising more, etc.). However, severe sleep apnea requires medical treatment. I used to think that sleep apnea was only cause by being overweight, until a friend was telling me that that isn’t the only reason. It was helpful to learn that sinusitis, a large neck circumference, smoking, and an overbite are just a few other causes. It would be scary to have the need of a device to help my breathe at night, so I’ll do my part in preventing it as much as possible. anybody with the symptoms listed above to go see a doctor.